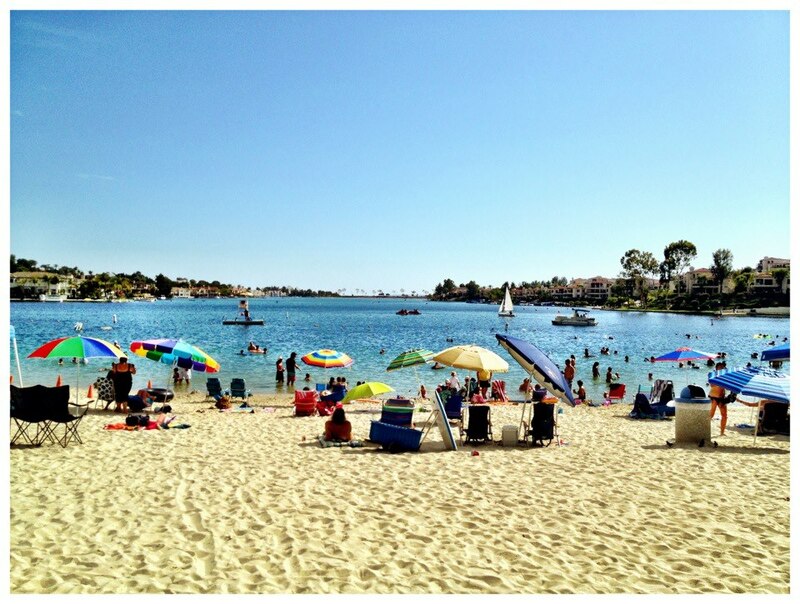 Why choose a home around Lake Mission Viejo? Posted by Teresa Mihelic HelpDesk on Wednesday, August 22nd, 2012 at 2:56pm. Because a picture is worth a thousand words, here it is. This was taken two weeks ago, at 'Playa del Norte' during one of those heat weekends - and before enjoying one of the many summer concerts at the Lake. Residents of Mission Viejo enjoy as part of the many amenities of the city, exclusive access to Lake Mission Viejo and it's beaches. Located on the northend of the city, the man made Lake Mission Viejo include approximately 124 surface acres of water and 50 acres of land, including Playa del Norte (North Beach) and marina, Playa del Este (East Beach), parking facilities, Market on the Lake dock and the dam.Recreational facilities available for Lake Association members include the Lake, two large beaches and picnic areas, a boat launching facility and a shoreline fishing area. And for those lucky ones living in those prime lake neighborhoods, there's also different private beaches and private decks. If you are not so lucky, you can also enjoy the views of it Plaza del Lago (Market on the Lake), a shopping center with different restaurants, boutiques, and a gym. Who can say no to a margarita with this kind of view?